Omni Air Group was founded in 1997 by the Salerno family of Seattle, Washington. 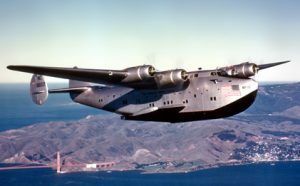 The Salerno’s aviation ventures began in the late 1930’s, when Joseph M. Salerno first saw a Pan Am Sikorsky S-42B flying boat dock in Port Washington, NY. Joe Salerno then set out to earn his A&E mechanic’s license and a Bachelor’s degree in Aeronautical Engineering from Tri-State College in Angola, Indiana. He became a professional flight engineer for Pan American World Airways in 1943. 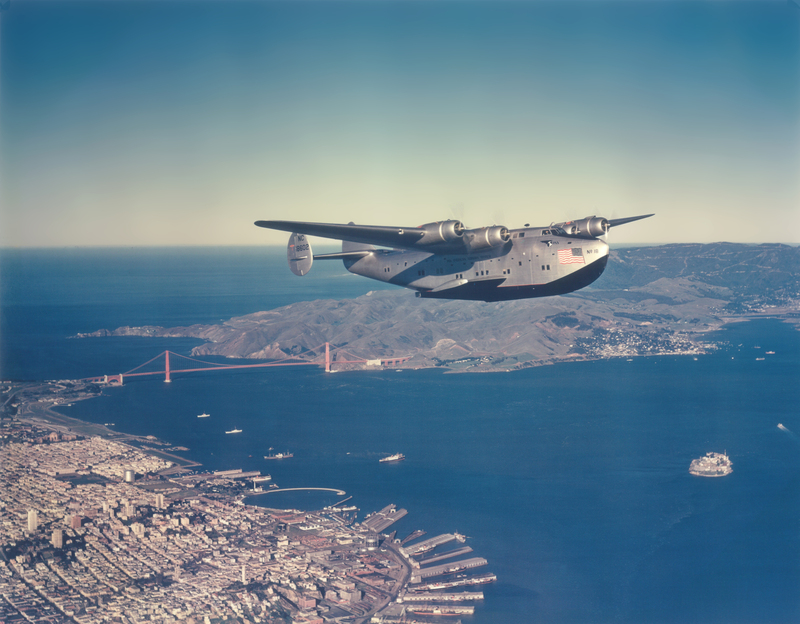 Serving in this capacity, Joe flew in the Boeing 314 Clipper and the Martin M-130 for Pan Am during the remainder of WWII, and thereafter the Boeing Stratocruiser, Lockheed L-1049 Super Constellation and Douglas DC-6 / DC-7 series aircraft. In 1947 Joe met his wife-to-be Edie Salerno while they were both flying DC-6s to Alaska for Pan Am out of Boeing Field in Seattle, Washington. Edie was a stewardess for Pan Am on the DC-3, DC-4 and DC-6. Two years earlier in 1945, she had entered the Women Airforce Service Pilots (WASP) training program, taking flying lessons in an Aeronca Chief from aviation pioneer Charlie McAllister, and soloing out of Yakima, Washington in a Taylorcraft. Joe and Edie were married in April of 1949. In 1958, Joe was selected as one of Pan Am’s first professional flight engineers to transition to the Boeing 707. 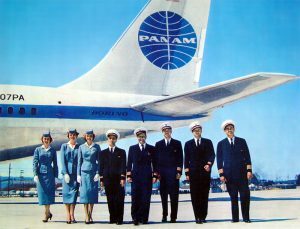 After accumulating more than 8,000 hours in the 707, he went on to serve on the Boeing 747 for his remaining years at Pan American. In 1977 Joe was forced to retired from Pan Am at age 60. Three years later in 1980, Bruce and Paul Salerno purchased a DC-3 freighter and began flying fresh salmon from the beaches of Bristol Bay to Anchorage, Alaska. In 1981 Joe and Edie joined their sons in the venture, and Salair was born. During the 1980’s Salair grew quickly under the leadership of CEO Bruce Salerno, but not without drawing on Joe and Edie’s vast aviation experience. 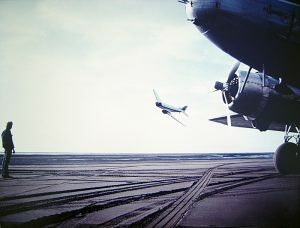 Salair’s fleet of nine DC-3 and three CV-440 aircraft flew in scheduled and on-demand service for UPS, Flying Tigers, Emery Worldwide, DHL, Airborne, FedEx and the US Postal Service. Salair certificated under parts 125, 135 and 121 of the FARs, obtained multiple airworthiness certificates for their DC-3s, developed approved Airplane Flight Manuals and obtained several STCs for innovative modifications, including a unique 88” x 125” palletized configuration for the Convairs which permitted rapid transfer of cargo from narrow body jets, and remains in use today. Salair’s Multiple STC SA3074NM was sold to Preferred Airparts in 2017 for use in the new Preferred Turbine-3 aircraft. 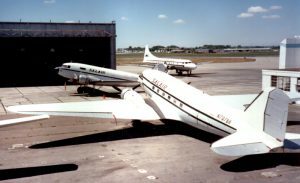 Throughout the 1980’s and 1990’s, Salair also performed depot-level maintenance including DC-3 airframe overhauls from their Spokane, Washington hangar. Salair trained and employed hundreds of pilots (who were required to be A&P mechanics), many of whom went on to become airline pilots for the majors. From 1980 through 1997, Salair / Classic Airlines conducted scheduled and on-demand all-cargo and passenger operations throughout Alaska, Canada, the U.S. and the Caribbean under Salair’s 121/135 certificate and DOT authorities. Salair DC-3s can be seen in the 1985 NOVA Documentary “The Plane That Changed The World” and other 1980s movies and TV episodes such as Rocky IV, Simon & Simon, Macgyver (Episode 3.18 “Rock the Cradle”), Crime Story (Episode 2.04 “Atomic Fallout”), and others.